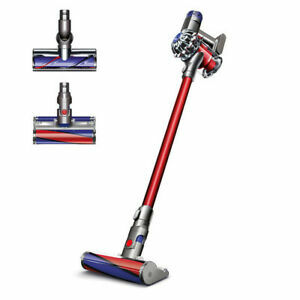 Dyson V6 Absolute HEPA Cordless Rechargeable Vacuum | Red | BRAND NEW & SEALED! 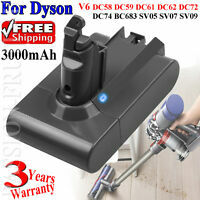 Soft roller cleaner head - removes fine dust and large particles to efficiently clean your home. The head provides full-width coverage and features soft woven nylon and rows of antistatic carbon-fiber filaments for safe use on hard floors. Direct-drive cleaner head - pushes bristles deep into the carpet to efficiently clean stubborn dirt. Carbon-fiber filaments help lift fine dust from hard floors. HEPA filtration Captures and removes up to 99.97% of particles as small as 0.3 microns to provide a cleaner living environment. Dyson digital motor - V6 Digitally controlled to spin at up to 110,000 rpm to deliver powerful suction that meets you cleaning needs. 2-Tier Radial cyclones - provides 15 cyclones, arranged across 2 tiers, that work in parallel to optimize airflow and capture fine dust. Balanced design - places the center of gravity near the grip to enable lightweight cleaning from the floor to the ceiling and everything in between. 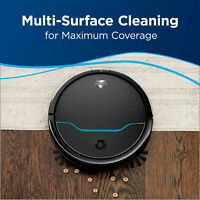 Provides up to 20 minutes of strong suction without fading, so you can easily accomplish your cleaning tasks with reliable power. Great deal, thanks a lot!! Great to do biz with. Fast and safe shipping. This company did not want to help me at all when i wanted to refund! lost at UPS, got refund after Christmas, bought on from a retail outlet. It took a long time to get but, I do love the product. There are missing parts. But Dyson does not honor my order. Bad experience ever! Poor communication! Box arrived open and missing cord. Can't expedite shipping replacement. I put in the cancel request 10 mins after I order it and was unable to cancel. It is wonderful for wood floors and tile. We recently renovated our house with hardwood floors. I had no idea of how to take care of them without sweeping everyday and crumbs etc getting in the beveled edges. My friend had bought one and loved it. I bought one at a reduced price because the metal tube had a dent in it, which doesn't affect the performance of the machine. I run it every evening before bed. It's amazing how much dirt must have been in our carpets which I usually vacuumed once a week. It works great on steps, so easy and lightweight. Only worry is that I will break the dust cup because it is plastic. I don't allow the kids to use it. They get the dust buster if they need it. 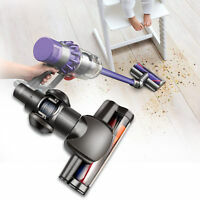 Bought this to upgrade from a broom in the kitchen because of dog hair but the hard floor attachment isn’t good with bigger items like a small (1in^2 ) scrap of paper or plastic... I need to try it on max for stuff other than dust and hair on the hard floor. 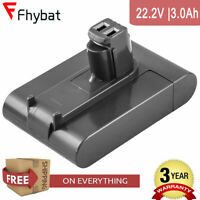 This is really good on the carpet with the main head! Catch is small, battery is short: mine is super awkward and messy to empty into the garbage - I have to take the whole stick off to dump it out or it’s really hard to balance cause you need two hand to release the catch and it makes a mess cause of all the dirt/dust. It still beats the broom or dragging out the corded vacuum everyday but I see why they have upgraded (v7-10) in the ways they have! Definitely worth the price I snagged it for. Not too loud either easily vacuum while the baby is sleeping. Vacuumed my entire living room on max in 4.2 minutes so 8 minutes on max is plenty of time if you plan to do your vacuuming throughout the day instead of all at once. I wouldn’t recommend buying this if you’re planning to use this as your only vacuum. I love this vacuum cleaner!! This vacuum cleaner has changed the way I clean my home. It’s cordless so I am much more likely to use it versus my old canister plug in type of cleaner I had been using, My home is now much cleaner due to this vacuum cleaner! I would almost consider giving up my day job to just clean stuff with this product since it is so easy to use!! Really happy with my purchase!